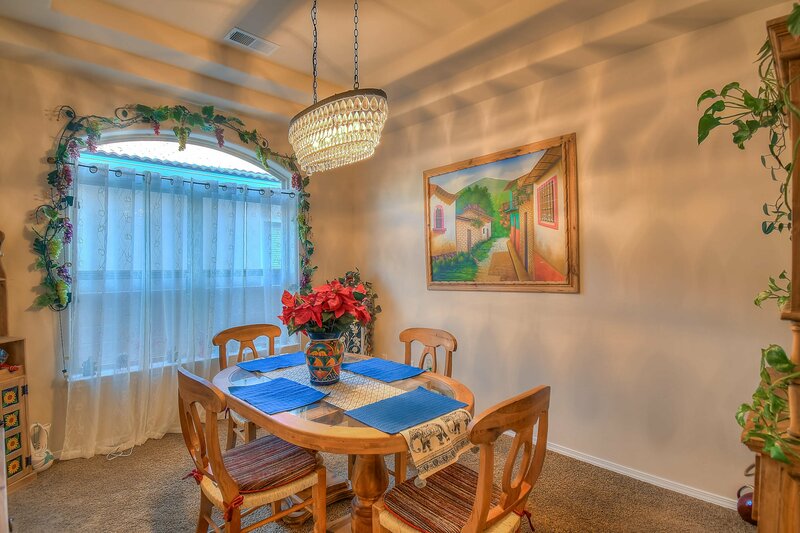 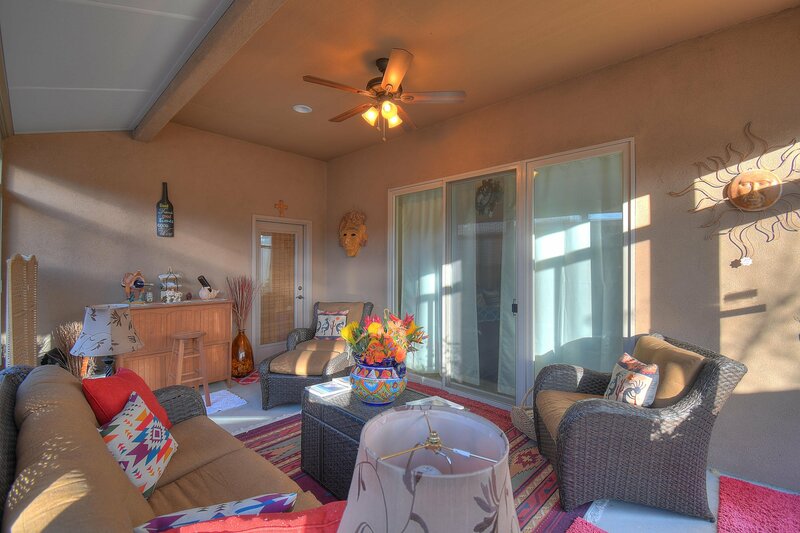 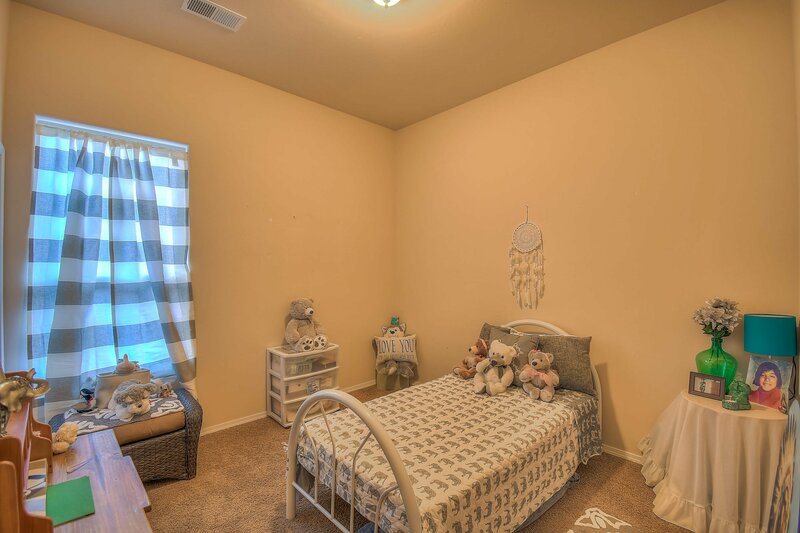 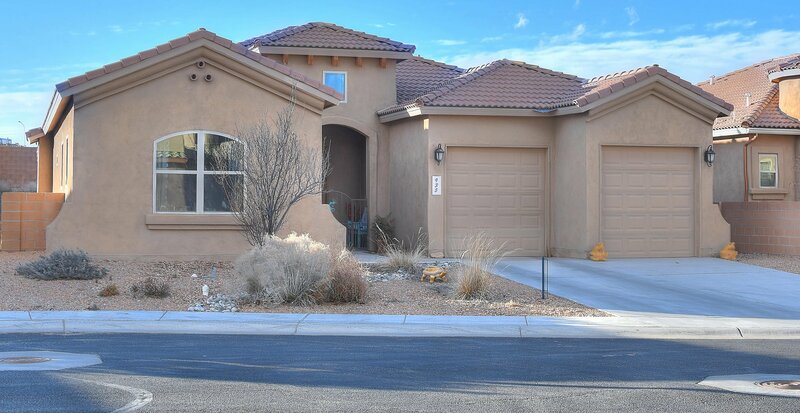 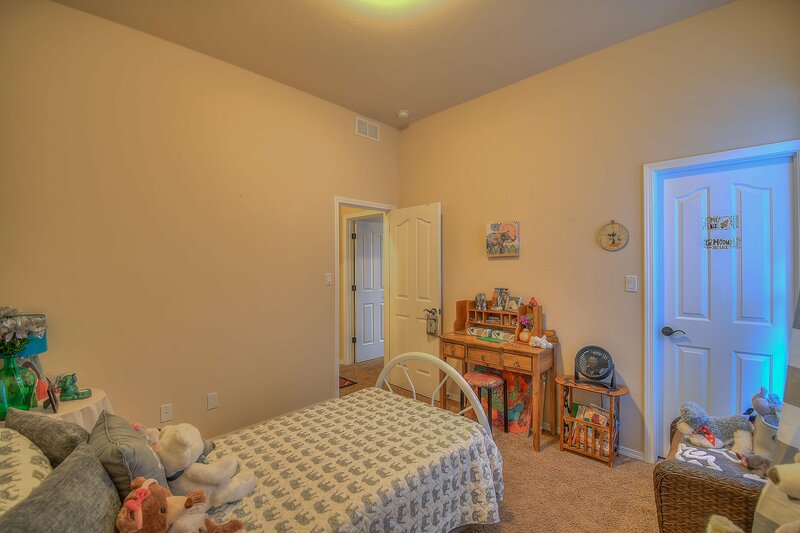 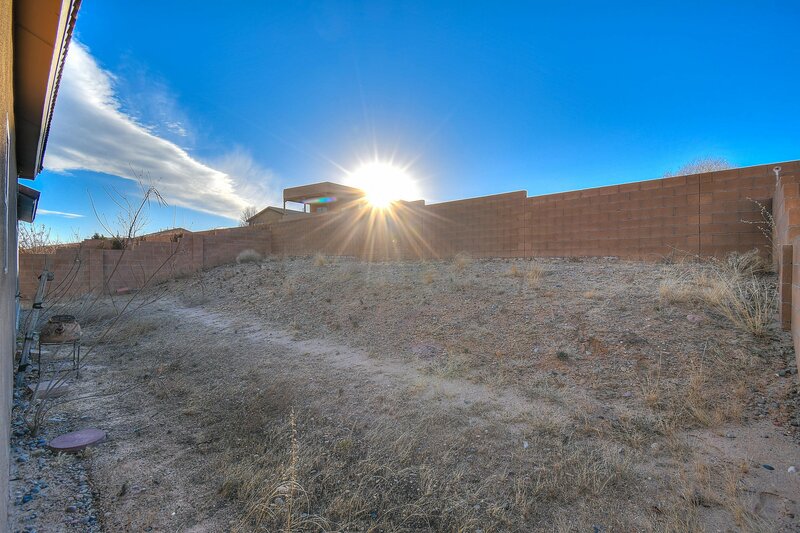 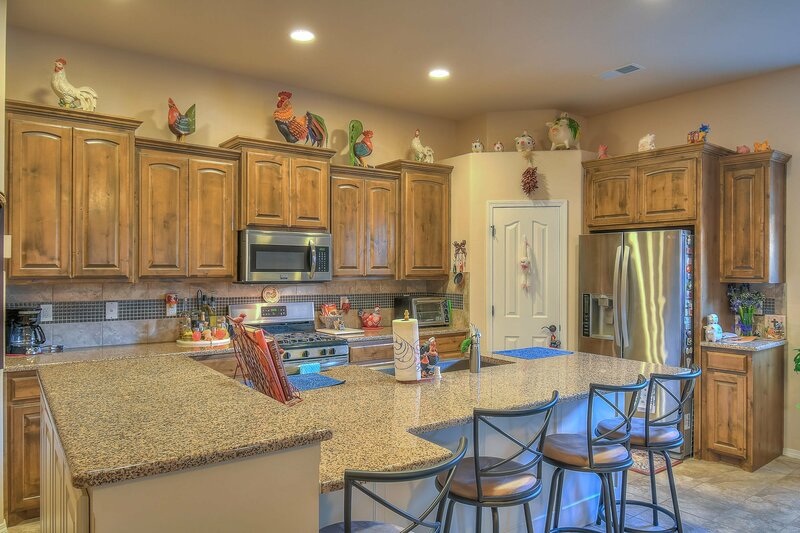 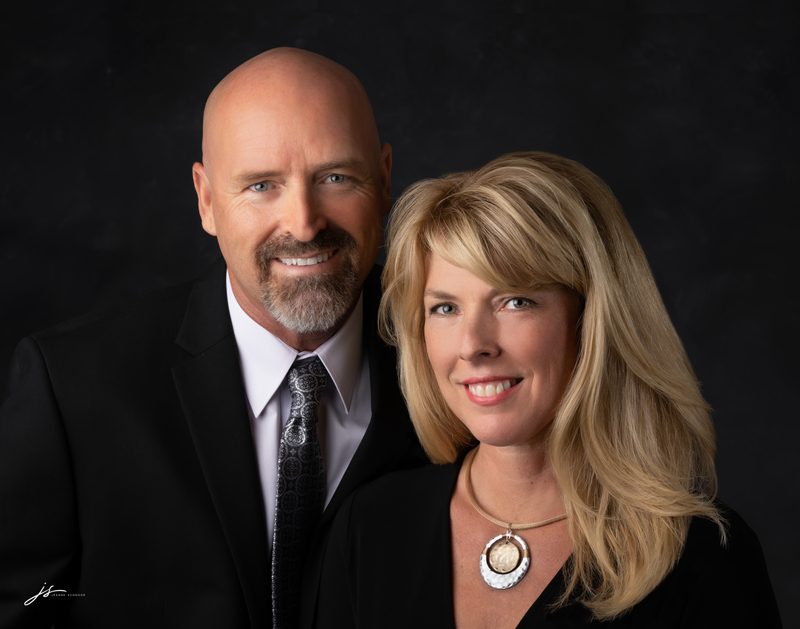 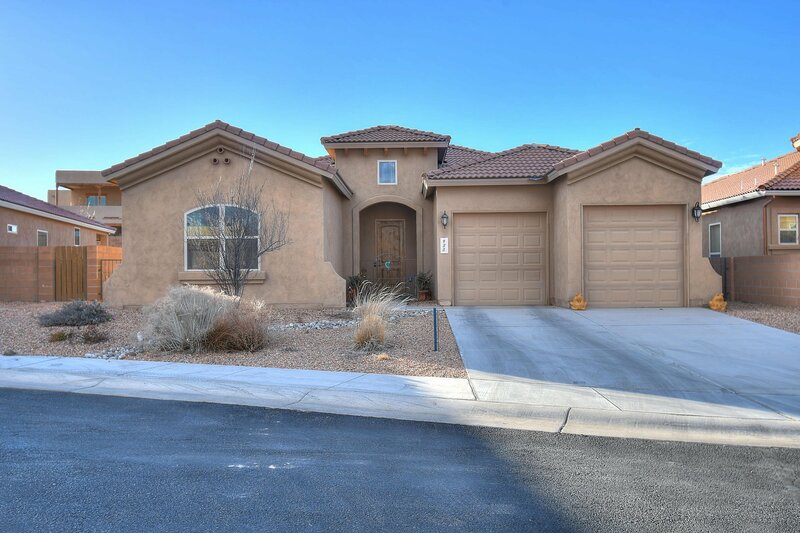 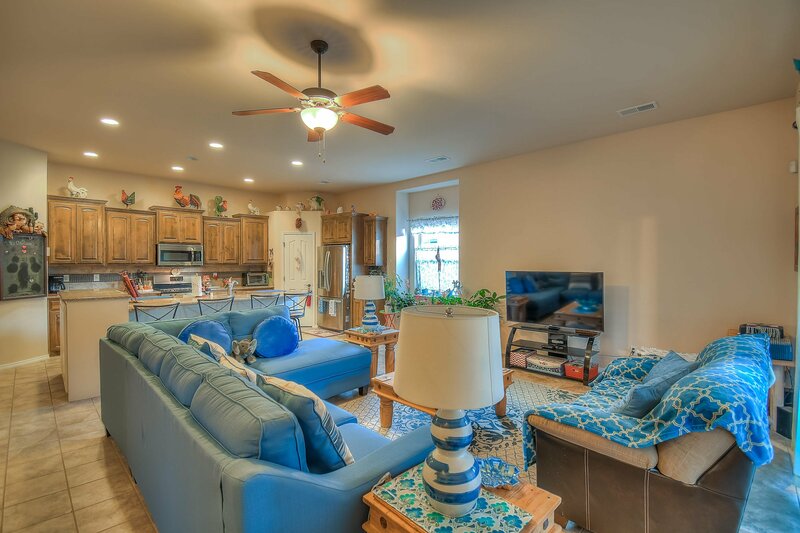 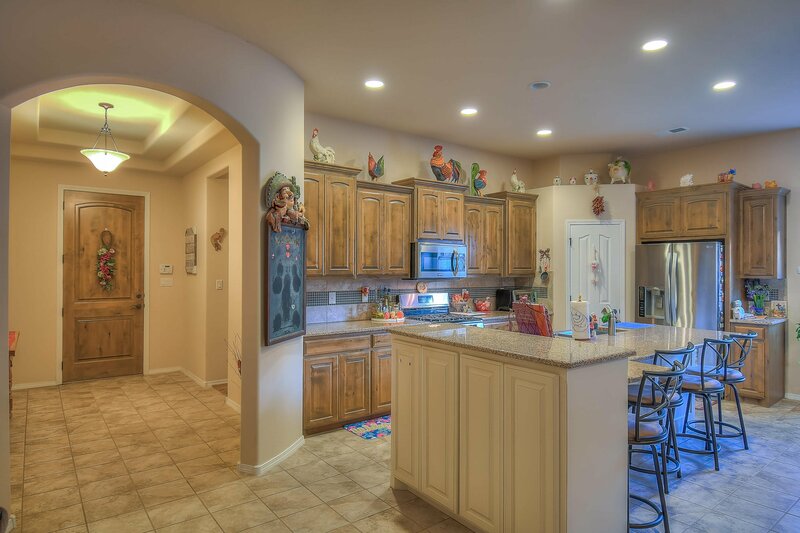 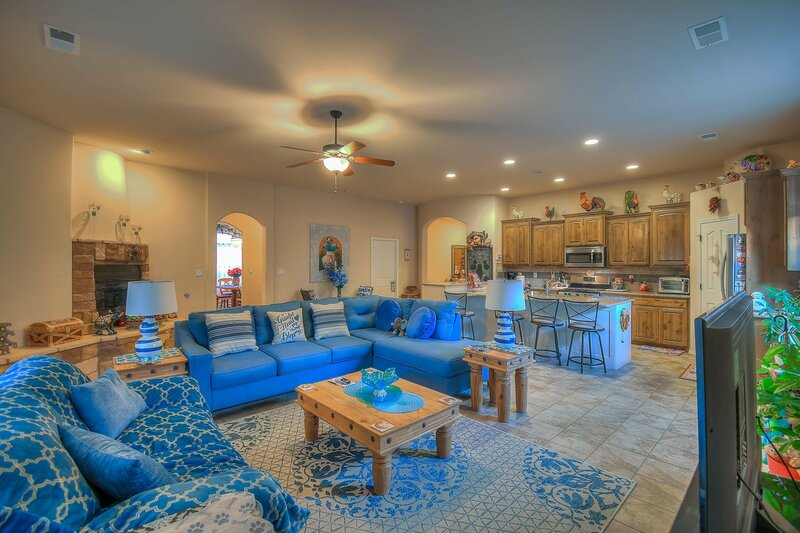 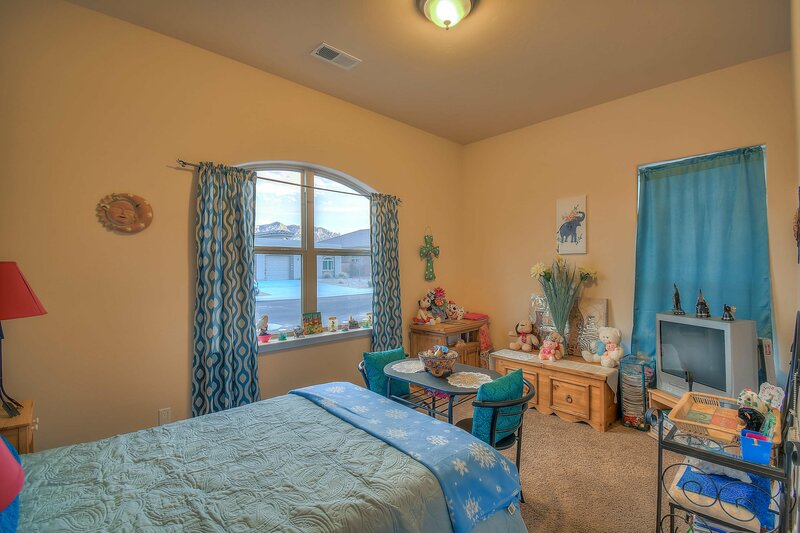 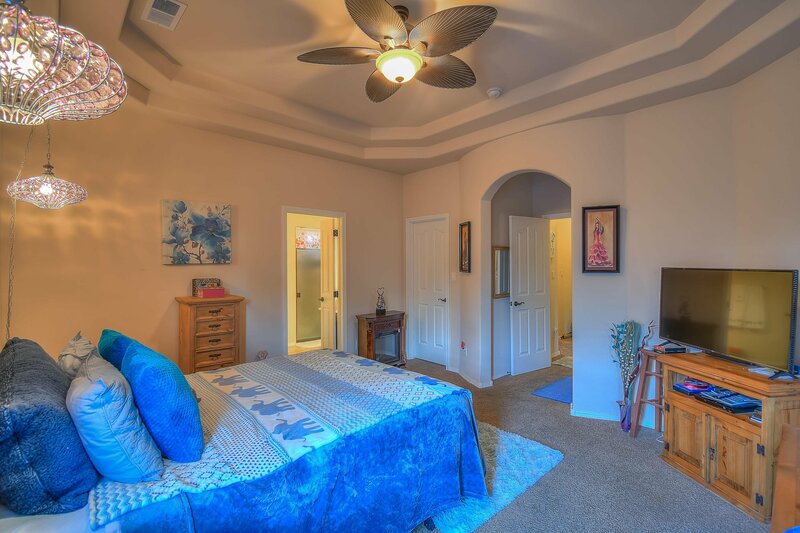 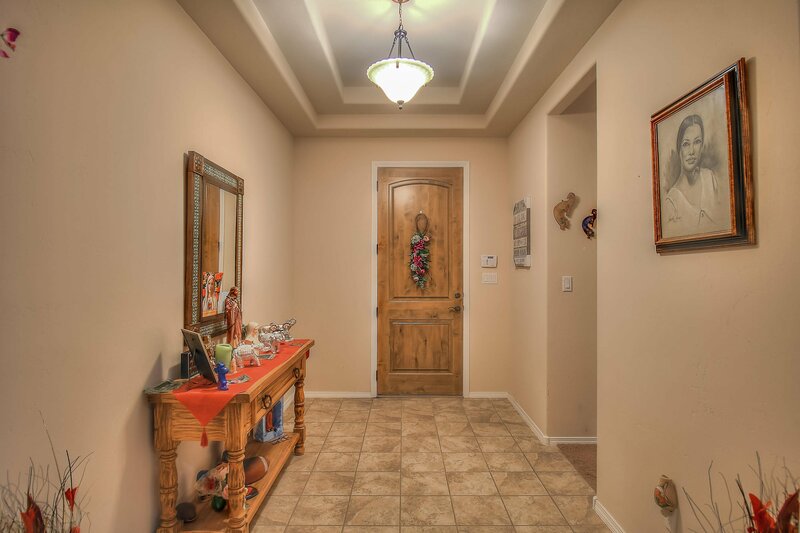 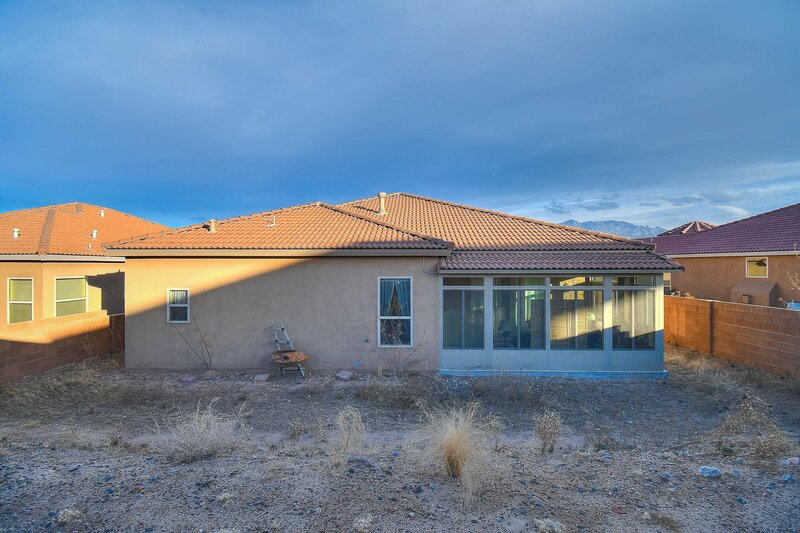 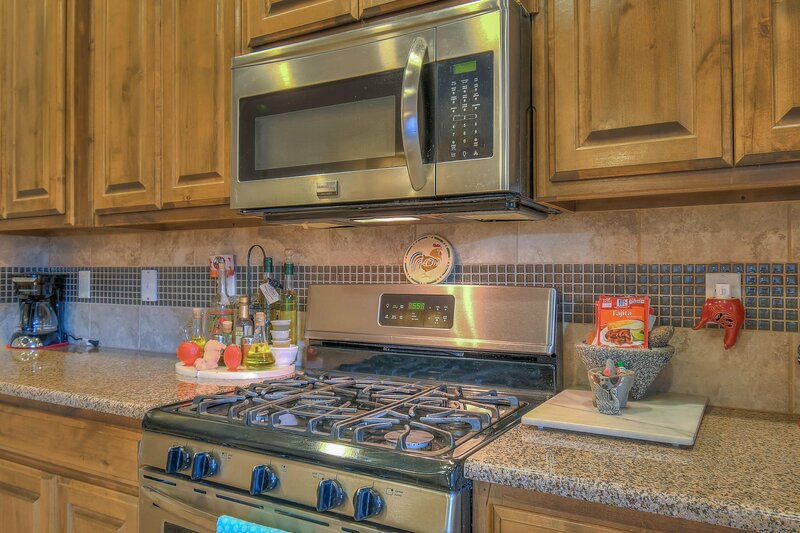 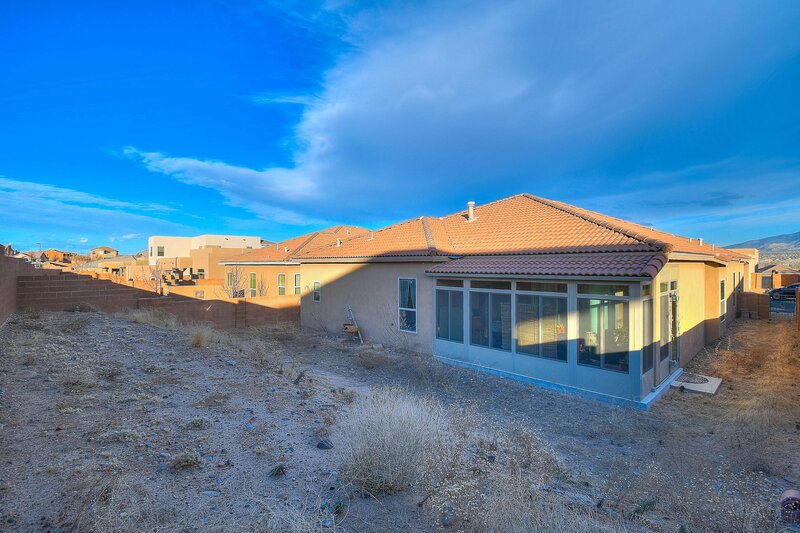 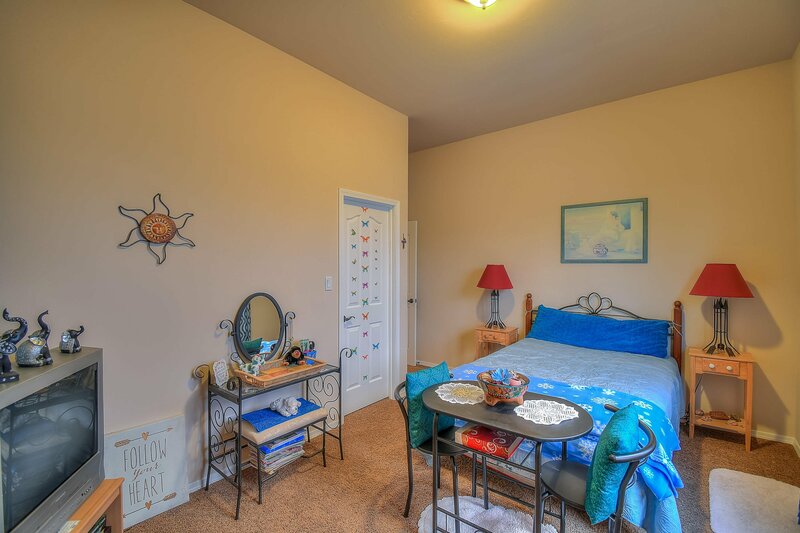 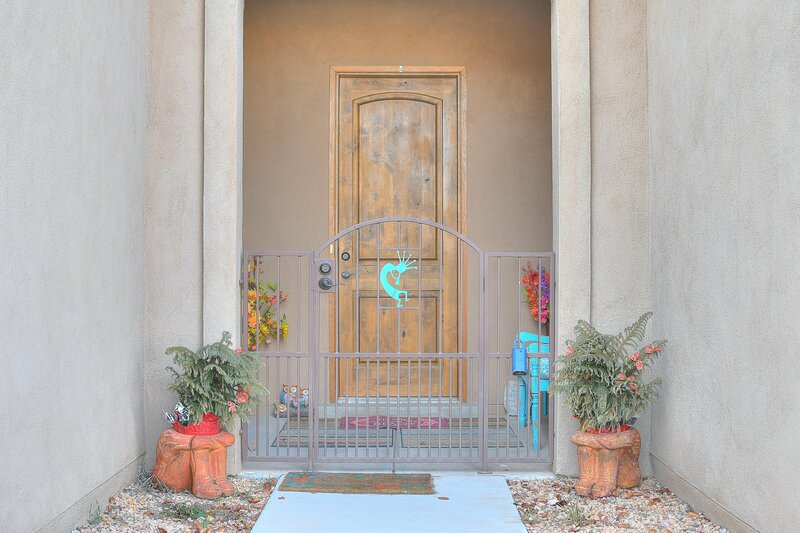 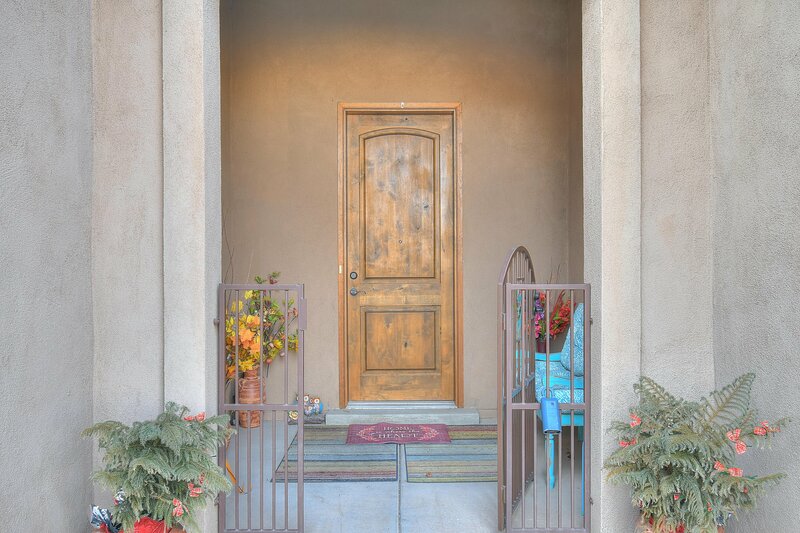 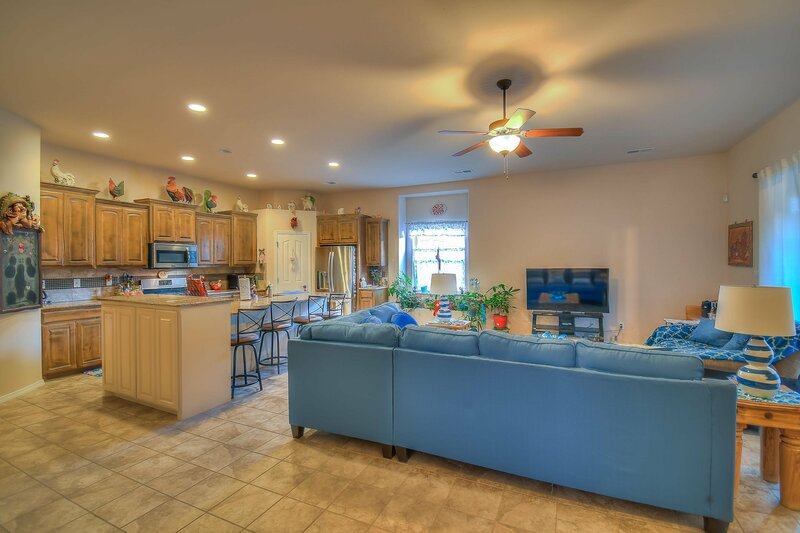 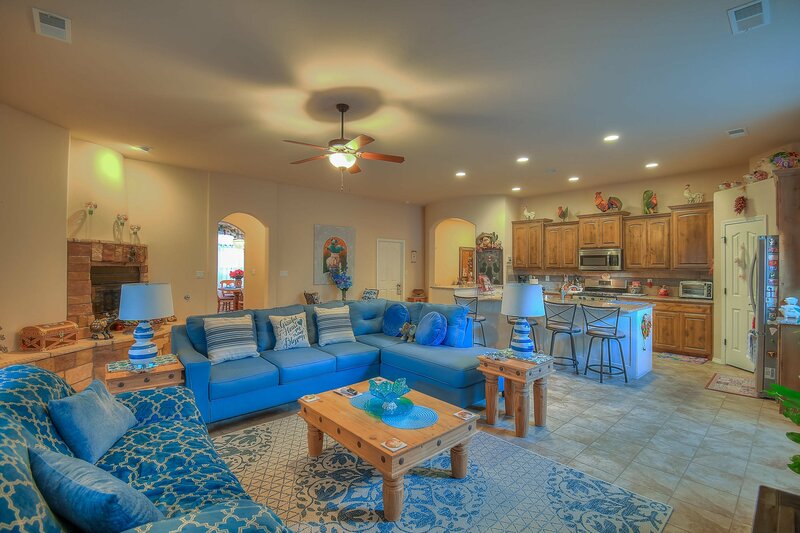 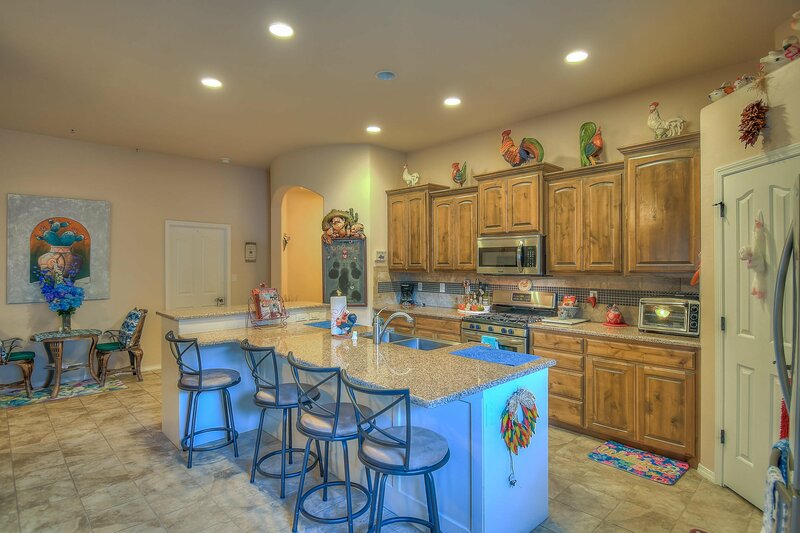 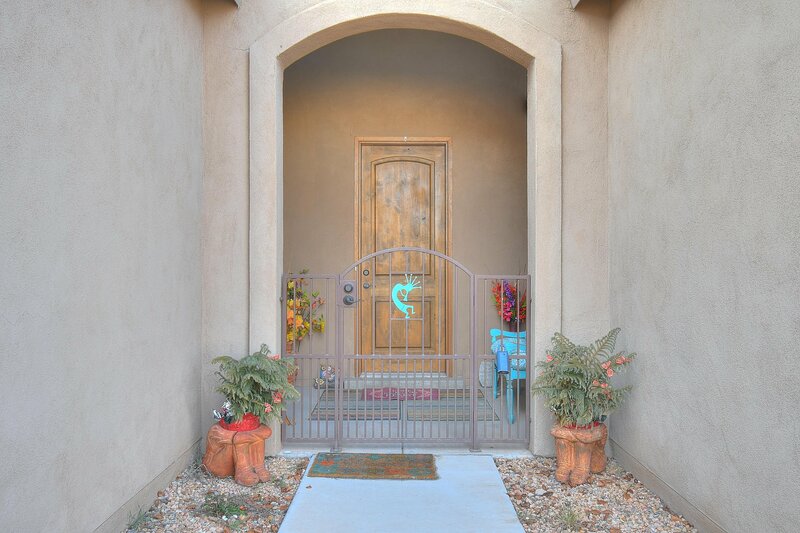 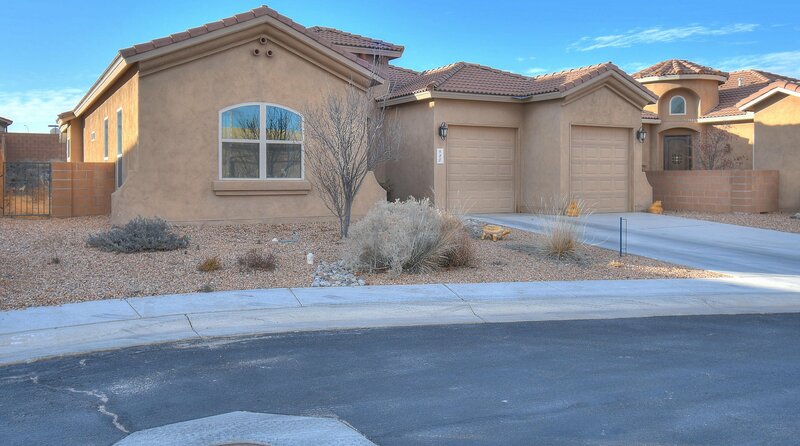 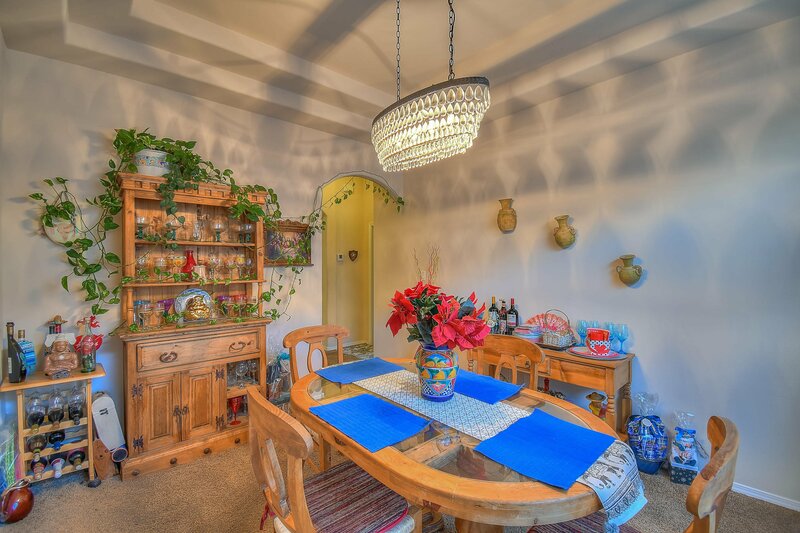 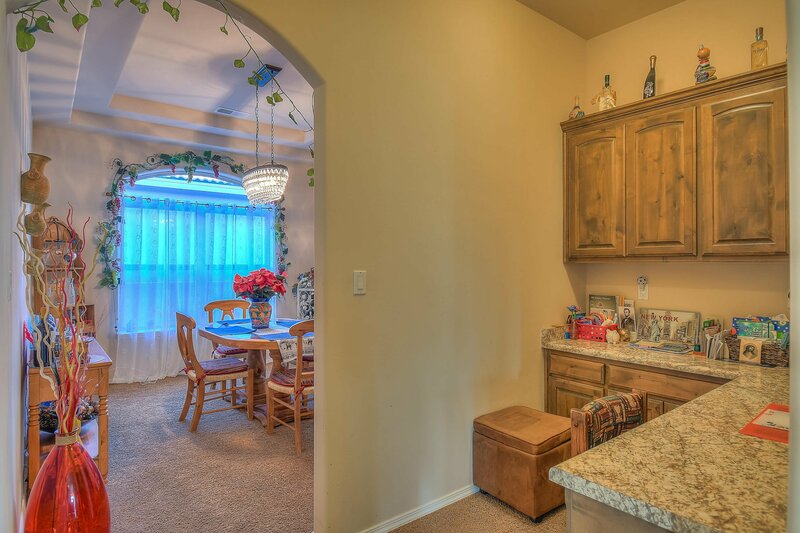 This beautifully styled Bernalillo home is located near highway 528 and offers a 3 bed 2 bath floor-plan complete with fantastic kitchen appeal. 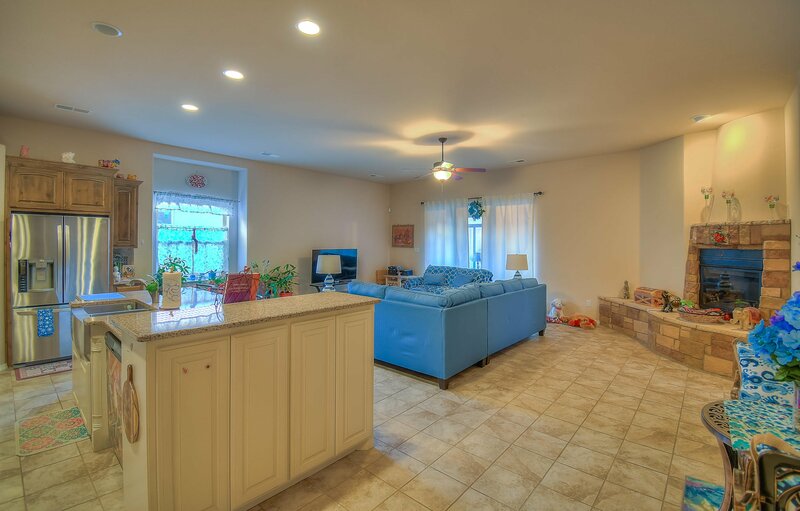 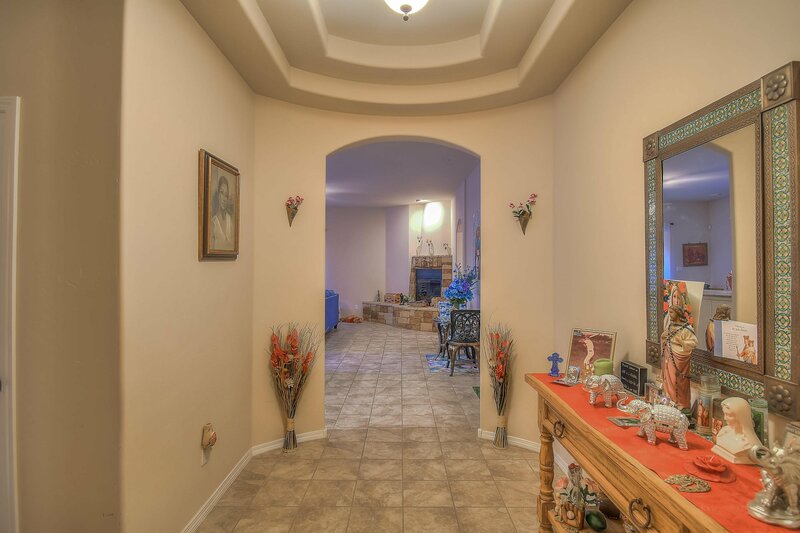 Entering this single family home you are welcomed by refined tile flooring and unique stepped ceiling. 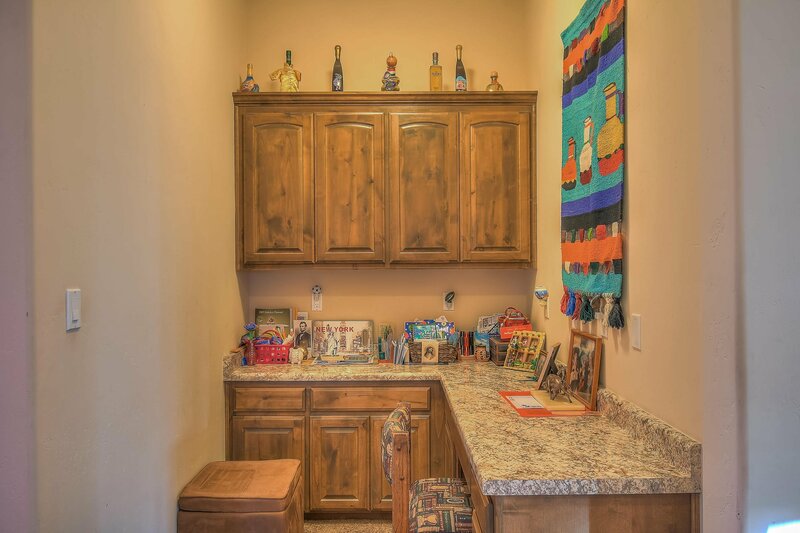 The kitchen is finished with independent island, granite stone counter-tops, back splash, and dark wood cabinetry that come together for a fantastic look. 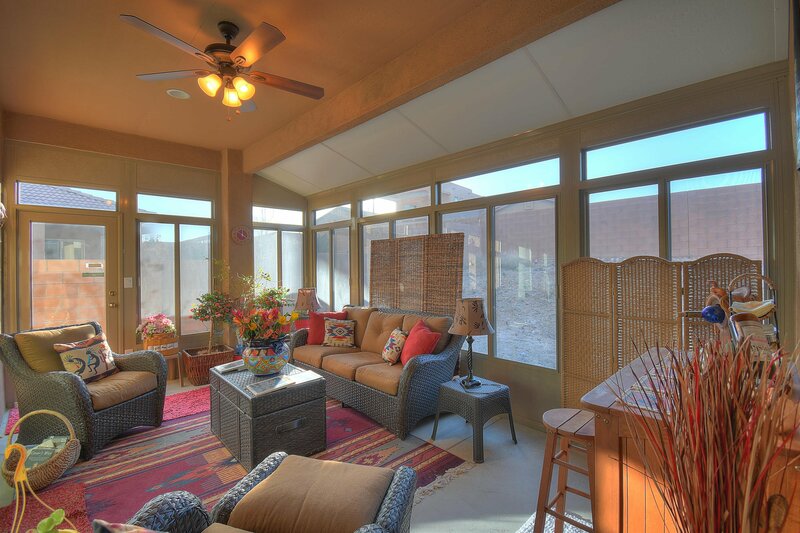 The open floor plan spills into the living room where an incredible fireplace accents the open space. 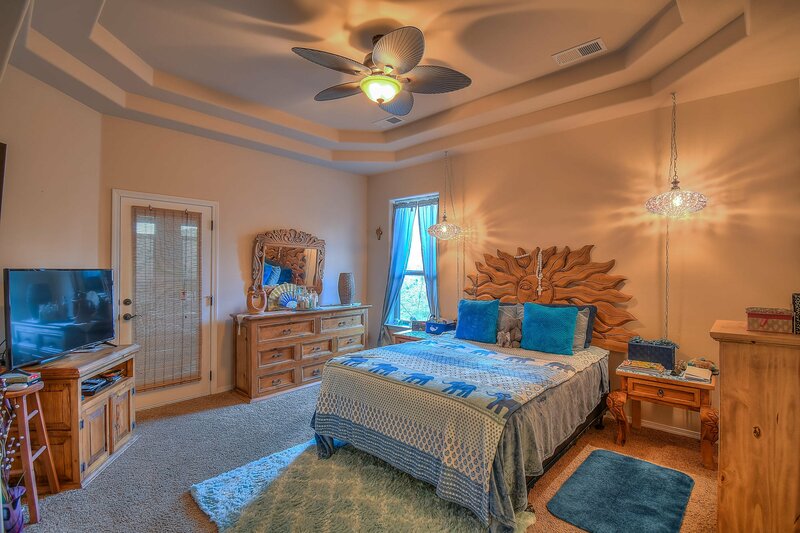 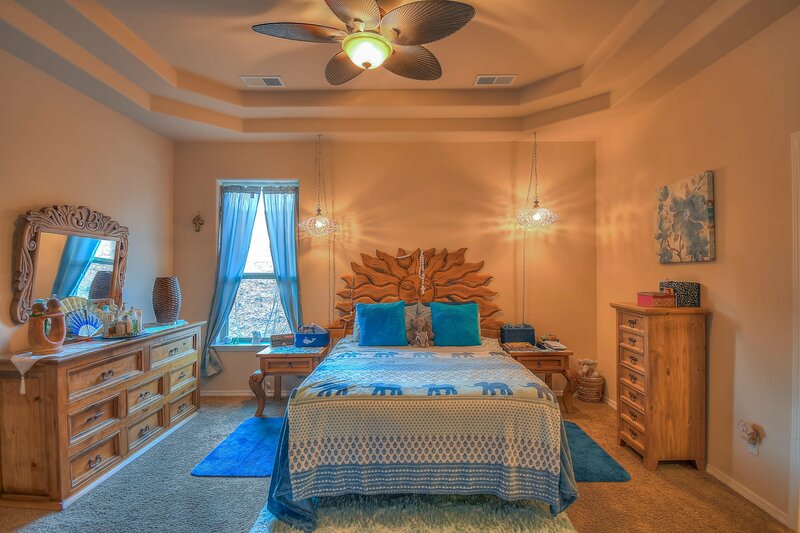 Moving to the master bedroom, the unique raised ceilings create a spacious open feeling where walk-in closet and sunroom access stand out. 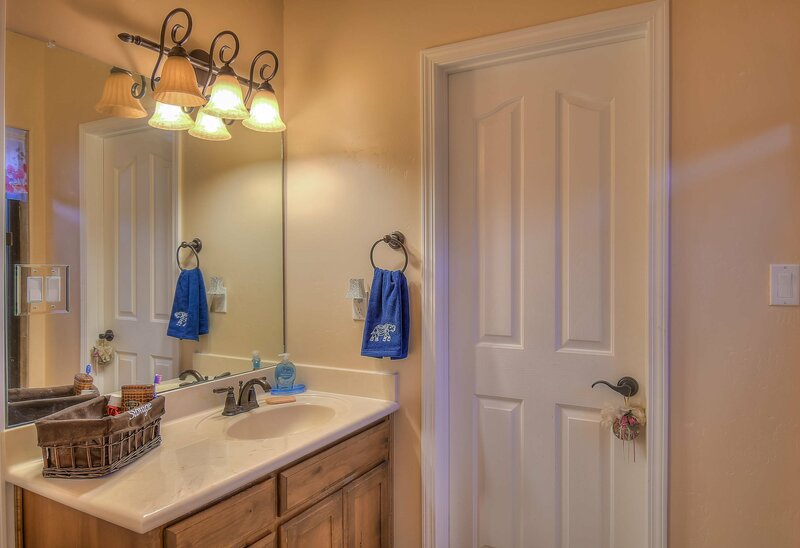 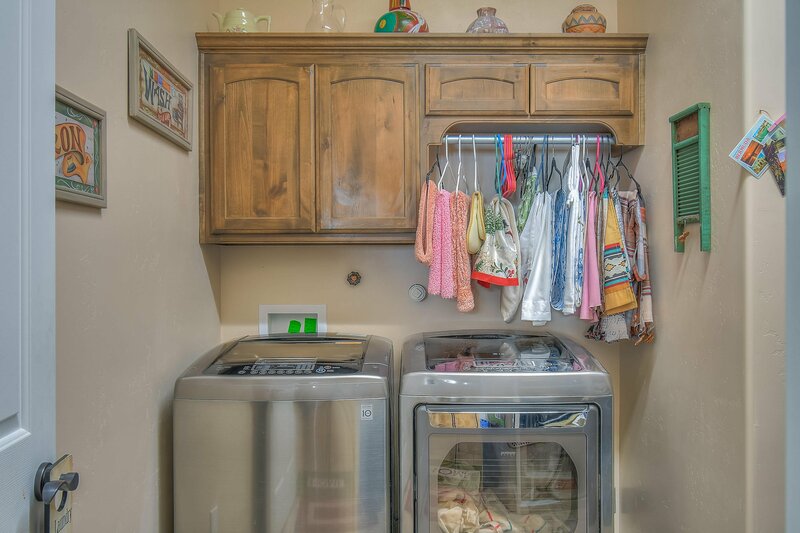 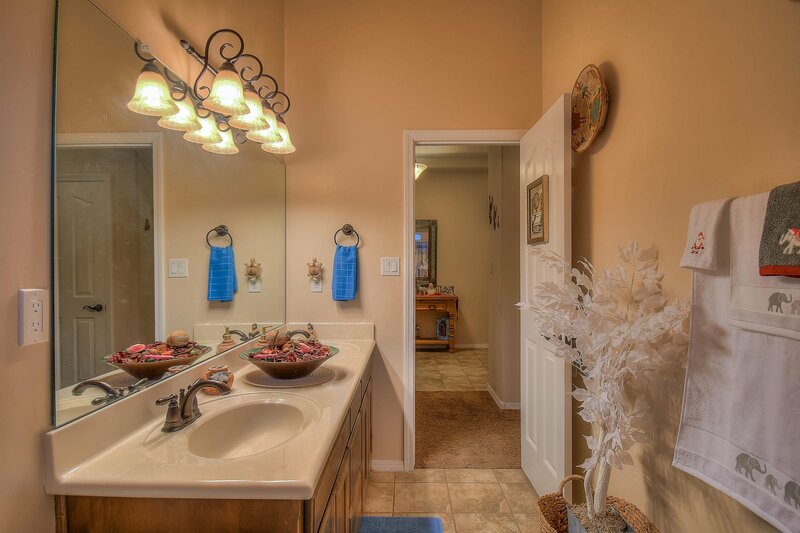 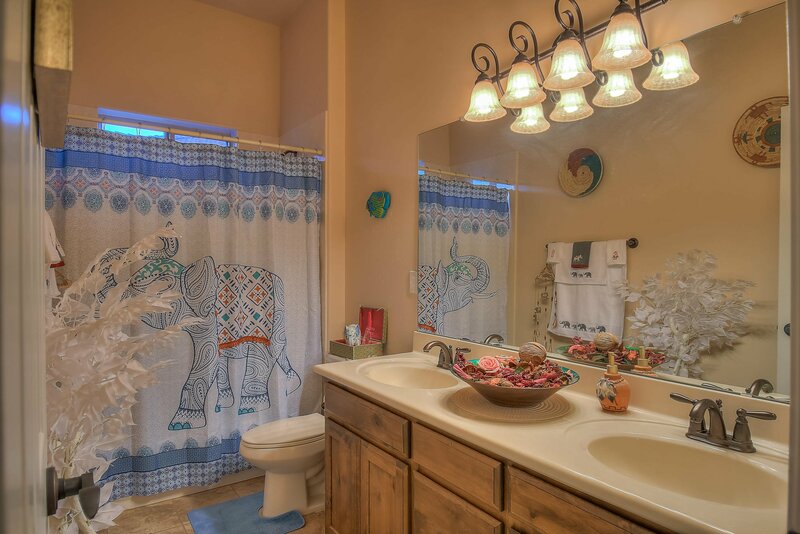 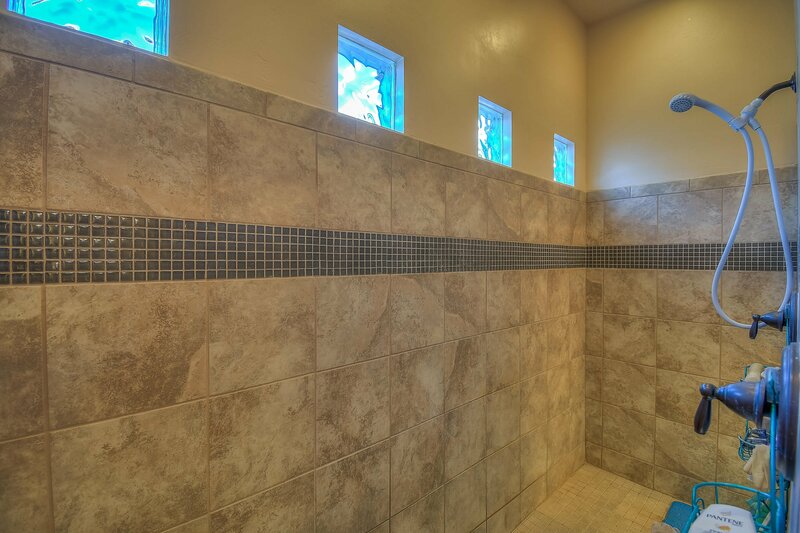 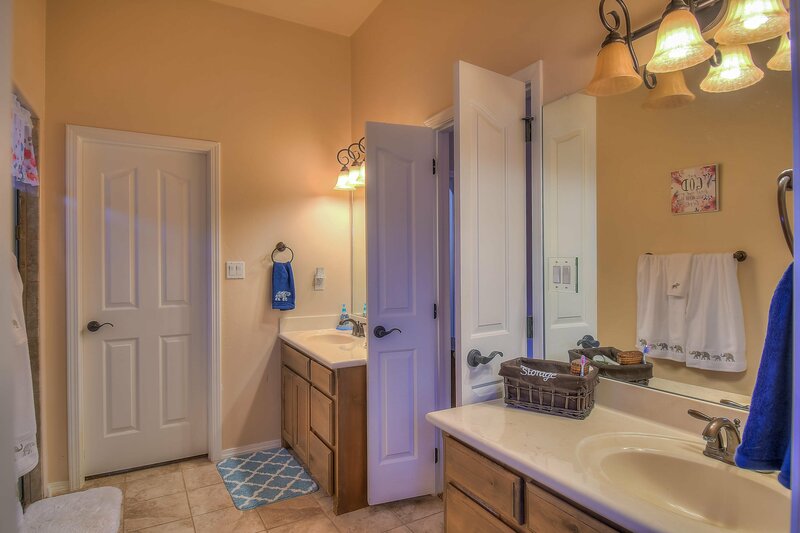 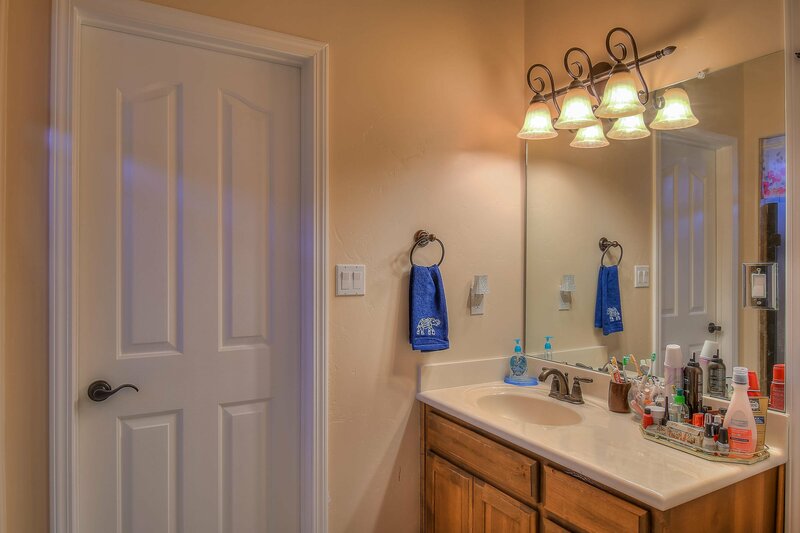 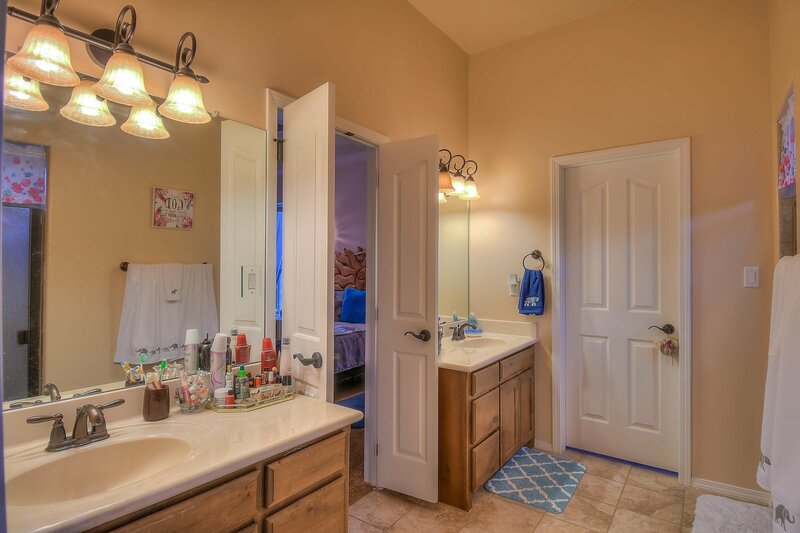 The master bath comes with double sink and massive standing shower. 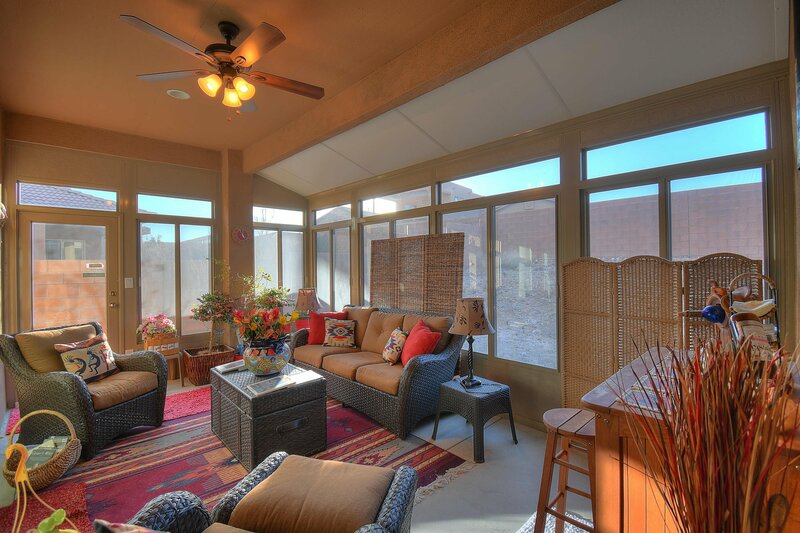 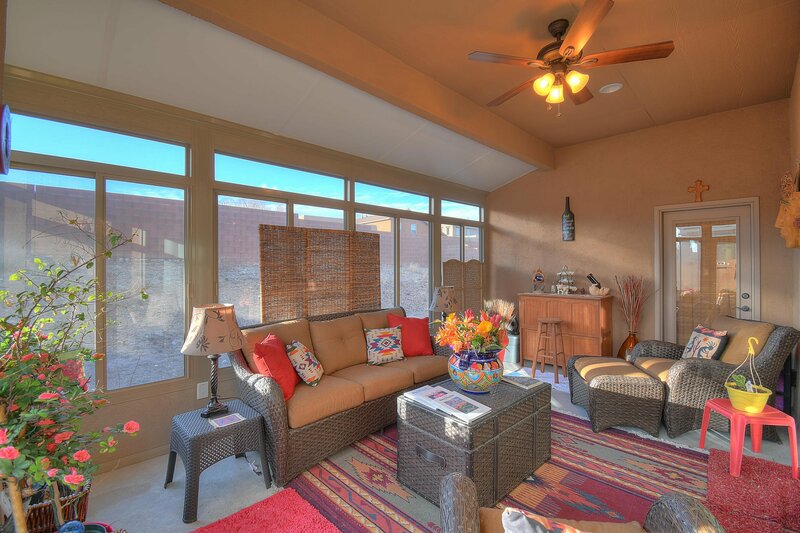 Finally the addition of a luxurious sunroom puts this home above and beyond!